When you are working or walking the whole day, do your feet felt heavy and swelling? 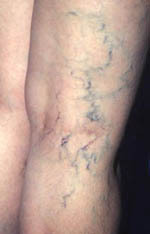 This might be a dangerous sign of varicose vein occurrence, economy class syndrome, and might lead to sudden death. Also see "Heart Attack (Myocardial Infarction) and Sudden Death". These conditions are more common in women among busy nurses and department sales ladies, even to those who are pregnant or after delivery. Hundreds of techniques to eliminate it are introduced in the Internet and some fishy gadgets and medicines are sold. There are even parlors offering phony massage and foot spa that have nothing to do with any methods that treat the above syndrome. As I said, young ladies working in the offices, department stores, hospitals, during pregnancy or after delivery are experiencing this syndrome. Their feet were slender and beautiful when they left home. 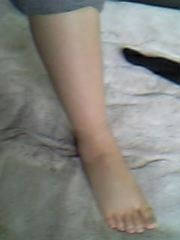 When they are about to leave from their works, they notice that their feet were swollen and with pain. This is a dangerous sign in your life that might lead you to sudden death. 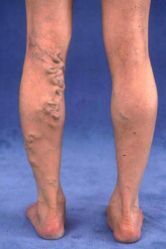 Can you tell us since how many hundreds of years ago have been people affected from varicose vein or phlebosclerosis? Up to this modern age, there is no definite method of treatment and cure. Many scientists, doctors, and business-minded crooks introduce false treatments, and of course, this includes information scattered through the Internet and local parlors. Now, I am going to introduce to you an almost 100% sure remedy and cure to avoid having varicose veins and sudden death similar to that of economy class syndrome. And the remedy I am going to note here may eradicate almost all kinds of similar conditions you know in your life. Wow, it sounds fantastic and unbelievable, isn't it? Here's only the way to do it. It's quite simple. Unbelievable but true. Foot massage, foot spa, electric massage, magnetic massage, acupuncture, moxibustion...you name it. None of them can heal or cure such syndrome. In the women's magazine, lady's feet have to appear slim and long. This is not a problem. Just a simple beauty care will make you have a beautiful pair of legs and make you live longer. But for all of us, do these simple exercises every now and then, and you may enjoy a healthier life and live longer. With the PYRO-ENERGEN, nerve stimulator, and the following exercises, it will bring the world without worries of diseases :). What you are going to do are just simple exercises few times each day. As shown in the illustrations above, sit and stretch your ankles up and down for about 20 times whenever you have chance. Also, stretch your body forward and backward about 10 times whenever you have time. That's all. If you do these exercises everyday, you will be healthier than ever and you will certainly live longer. No more varicose veins and no more swollen feet forever.